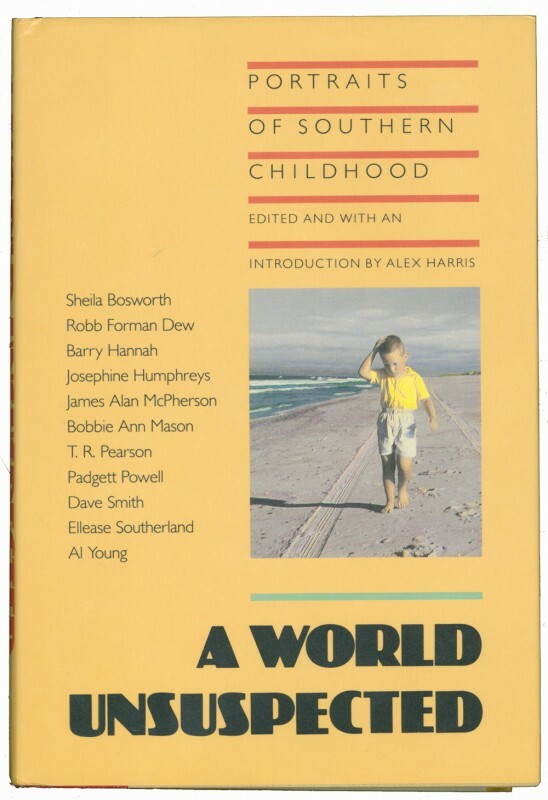 In 1985, photographer Alex Harris asked a number of Southern writers to “look at their own family photograph albums, and using these snapshots as a catalyst for memory, to tell the true story of their childhoods. The result is A World Unsuspected a remarkably powerful album of the visual and the verbal. The text of this book is a sampler of contemporary Southern Landscapes, literal and literary. The setting range from Bobbie Ann Mason’s Kentucky to Padgett Powell’s Florida, and the stories offer an impressive range of style and tone, from the informal cumulative memoir of T.R.Pearson, to the deeply troubled vignettes of James Alan McPherson. Together, they compose a memorable portrait of what it was like to grow up in the South from the late 1940s through the early 1960s.